In which stream for NDA ? How can I enter into Indian Navy Cadet(B.Tech)? Subjects need to be taken in Commerce stream to appear for NDA exam? How to apply for Air force being a student of IT sector and have done diploma course from Polytechnic? Can i join Air Force after passing 12th with 48%? Job in Indian Air Force being 17 years of old and passe inter with physics and Maths. Re: In which stream for NDA i should go for? UPSC conducts NDA exam to select eligible candidates in to any of the defense wings. You can apply for this exam after completing your diploma or 12th class. You have to take up PCM subjects in 12th class so as to apply for Navy/Air force etc. In order to apply in Army you can choose any subjects in 12th class. No details about your educational level have been given. So, you can apply in any defense stream as per your eligibility. You have to be a male unmarried candidate to apply for the same. Maximum age limit for this exam is 19 years. On clearing this exam, you will have to appear for physical test and personal interview. give me detail description for physical test? NDA exam conduct by UPSC. >>Age is between 16.5-19 years. so,Science stream is best for NDA exam. NDA stands for the National defence academy which is an defence sector examination which is conducted by the UPSC every twice. If you are interested to join the Indian army, then you need to have completed the intermediate from an recognised board. However for joining Indian navy and airforce, you must have physics and mathematics subjects in class 12th from an recognised board. The age of yours must be in between 16.5 years to 19 years. You must also an unmarried student and also physically fit for it. Only male student can apply for this exam. NDA stands for National Defence Academy and is a entry for all three wings in defence in air force,navy and army for the intermediate students. The educational qualification required for applying in air force and navy wing is 10+2 passed or any other equivalent examination to 10+2 with physics and maths. The educational qualification required for applying in army is 10+2 passed or any other equivalent examination to 10+2 with any stream. Hence if you want to apply for all three wings then it is necessary,that you must take pure science stream in 10+2. It will allow you to apply for all three wings. For more details visit the website of air force,navy and army. Also a old notification of NDA has been uploaded for your reference. To go for NDA,you must have completed your 12th with more than 50% marks under some recognized university or board. After completion of 12th,you can apply for NDA entrance exam which is conducted by UPSC and it is held as twice in a year. You must be eligible for NDA then only after you can apply for it.So check the eligibility criteria first then apply for it. 2.Your age should lies between 16.5 to 19 years. 3.Your eye sight should be correct i.e.6/6. 4.You must be physically fit. 5.Girls are not eligible for it. 6.Only unmarried males are eligible for it. And if you qualify the NDA entrance exam then you will be called for the final interview and you will be admitted into the civil services for which you are eligible or which you want. 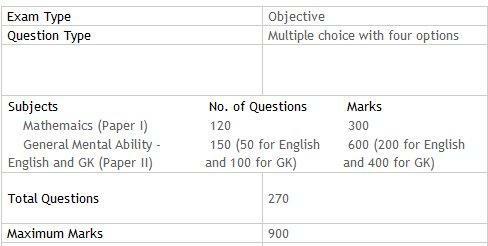 You can either go for Indian Army,Navy or Air Force but the thing is that Arts and commerce students are eligible only and only for Indian Army and are not eligible for Navy and Air Force. But the science students are eligible for all the three civil services.Once you have been admitted into any of the civil service,then you will get a training regarding this and after that assign the duties to you according to your position. From where can i get NDA application forms for NDA 2012? Age limit for NDA exam? Can i write NDA exam with date of birth having 29 September 1993? Which is better options among PH.D, NET, BE.d or M.Phill to get government job?